Bringing baby home from the hospital was the craziest shock my husband and I have EVER been through. We thought we had the whole “preparing for baby” thing DOWN, especially the first week. Newborn life couldn’t be that bad, could it? I wish I could go back and punch her in the face. Alright, so it’s not realistic to place all the blame on her. But WAY too late, I found out this is *seriously* abnormal. Girlfriend, let me be the first to say (if you don’t know already), that you probably wont be skipping with joy catching rainbows and butterflies while singing The Sound Of Music after you bring your baby home from the hospital. 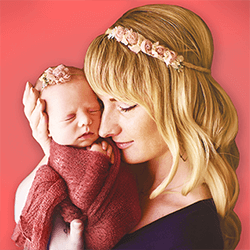 BUT on the hand, those newborn moments are seriously precious. You’ll never get to learn breastfeeding with your firstborn again or give a first bath or sing her to sleep for the first time. Those moments are beautiful and fleeting. This means, even though bringing your baby home may be the craziest whirlwind of a ride you’ve ever been on, it’s crucial for you to slow down, care for yourself, not sweat the small stuff, heal and capture those once in a lifetime precious moments. I didn’t think it would be so bad. The last trimester of pregnancy was pretty sleepless already but dang…nothing could compare to those first few days with our fresh little human. I wish I had been much more prepared for the combination of things I would have to deal with. Each one of these things would be somewhat manageable on their own but all at once?! This led to a couple MAJOR breakdowns. I wish I had understood that these would be just some of things that I would have to deal with all at the same time: major healing, pain, exhaustion, stress from dealing with people (introvert over here), anxiety due to the fact that I was the #1 provider of a helpless little LIFE and all the fear/stress that comes with learning a TON of new things ALL AT ONCE. Understand that you may have to deal with A LOT all at once and it could push the boundaries of your capacity. If you take away anything, hear this: ask for help and don’t be afraid to! Just do it. Don’t people please. Put your foot down (in a non-scary ‘I-just-had-a-baby!! !’ voice if possible) when you have a gut feeling about things. Breath and take things little at a time if you can. Don’t worry about the dishes, laundry, cleaning etc. Ask someone else to do it. 2. To pay attention in prenatal class regarding tips on caring for a newborn! “Oh the video doesn’t seem to be working…let’s just skip that…” She seemed to say this way too often! I tried paying attention to what was said but I was much more concerned about the whole labor and delivery part. Once that was over, I though the rest would be a breeze. I should have paid attention to postpartum and newborn care the MOST! Now with baby #2, I wanted a refresher and found this AH-mazing class run by RN Hilary Erickson (There’s also a FREE version here). She’s been a labor and delivery nurse for over 16 years and has taught prenatal classes regularly (without skipping all the videos…). If only I had known to take her class for baby #1! I’d have been much more prepared. You can take the class at your own pace, and you’ll receive a fantastic prenatal education from a passionate, experienced and wonderful mommy and nurse. I also guarantee you’ll LOVE her emails! 3. To PREPARE a postpartum survival kit!!! Oh gosh, just thinking of this brings bad memories – this was a nightmare! I ran out of everything fast (what the hospital provided at least) and had to try telling my husband (while he was going to every store in the area) what Tucks Medicated Healing Pads were and Dermoplast (because these were MUST HAVES). All that frustration while in pain and exhausted to my soul! This time, there is NO WAY I’m skipping out on a Postpartum Care Kit. It’s not that hard to put together either. For future reference, I even put together an Amazon List (shown below) with items recommended by the hospital. I politely excused myself and went to go scream in a pillow. It works. Some people are takers and some are givers. Some are givers that get so stressed out, they end up being takers because they need so much comforting. Don’t invite the takers. How do you know the difference? Bring to mind a person in your life. After you’ve spent some time with this person, when leaving do you feel uplifted and happy OR drained, frustrated and aggravated? There is your key. This time, I think we’ll have zero visitors for at least one week. It’s hard to please everyone and try to figure out life with a newborn. Plus, your husband may only have a week of paternity leave. I would rather spend that time privately bonding and figuring out this major life change, rather than crying in my pillow because I want to murder the people who keep coming over. Here’s another live and learn circumstance I WISH I would have done and will not mess up this second time around. Do your future self a giant favor and grab these household necessities a few weeks, at least, before your due date. I had taken a breastfeeding class at our hospital, read all the things, bought all the things and I was ready. Close friends and relatives had asked me, “Are you choosing to breastfeed?” This question baffled me. I was incredibly naive! Cue day 1, hours after our new precious little one was born. I had no idea that you had to teach a newborn to breastfeed. I mean, I knew there was some training involved but animals all do it themselves. Why was it SO difficult for a human baby? Who knows….but it is. In the end, I do wish I had known how hard it would be but most importantly, I wish I had known that it would all turn out to be just fine. We would push through, learn to breastfeed in public with the best nursing cover ever (even though I was SO anxious about that at first!) and we would go on to breastfeed until she was a year old. Perseverance, patience, and practice made it all worth it. People say things like I “slept like a baby.” This can instill a VERY MAJOR misconception that babies sleep consecutively. 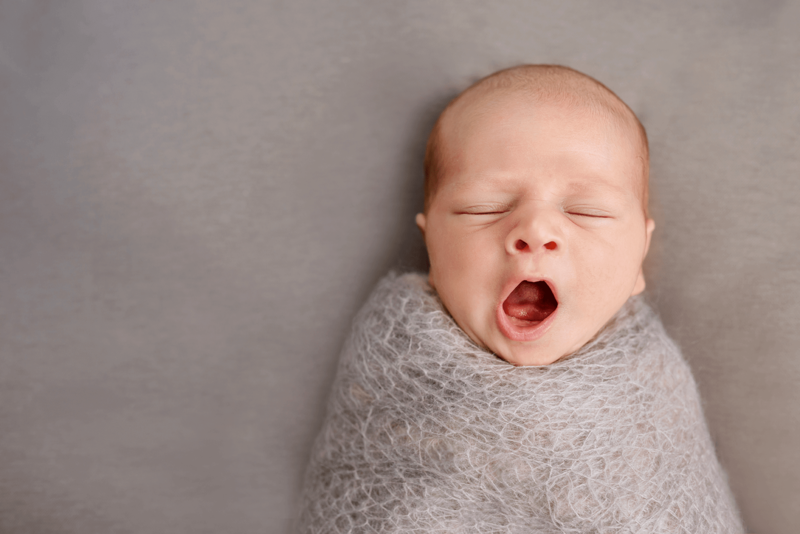 Major wake up call (pun super intended): your brand new baby will likely sleep twenty hours a day like any other average newborn but it will be in VERY SHORT spurts. Usually, this is around 30 minutes to two hours. In addition, I found that typically our newborn woke up crying and wanting something right that instant! At first, this was a stressful, panicky scramble to understand what all that overwhelming screech was for. But don’t worry, mommy, you will just know after a couple days. Your super mommy-sense will kick in (I promise) and others may not understand but you will. The Graco Glider/Swing (Elite/Pierce) was my absolute saving grace. Seriously, this thing allowed me to pass out while our little one was rocked. I praised all that was good in this world the very day we put this together. I had heard rockers, swings, etc. helped comfort babies but I wasn’t sure what to get. WAY TOO much time on Google and asking every new mommy I knew led me to the Graco Swing. Popular brands like the 4Moms MamaRoo seemed to have reviews like: my baby outgrew this ASAP and the motion was way too minimal to help out with anything. Every other rocker and swing had similar reviews.The Graco Swing had various speeds, looked nice in the living room, wasn’t too big AND could be converted to a small portable bouncer which was AH-mazing. I could seamlessly unclick the bouncer from the swing while she was sleeping and place it in the bathroom so I could actually shower while keeping an eye on her every second. I wish I knew the 3-pack of Aden + Anais swaddle blankets are ALL a mommy needs for swaddling. That’s it. We would never have used these swaddle blankets if my wonderful aunt had not purchased them for our baby shower with a note saying, “These are AMAZING. I swear by these.” Now, I do too. Before our baby, I Googled: “how many swaddle blankets do I need? !” and bought a few other brands that collected dust. Here’s your answer: Buy ONE pack of 3 Aden + Anais swaddle blankets. They are stretchy, super high-quality and ridiculously better than other brands. I’ve heard moms use swaddle blankets for spit rags. I wouldn’t advise that. Make it cheaper and way more convenient: get 2-3 packs of Gerber “cloth diapers”. Do not use those for cloth diapers, just spit rags. Seriously, buy a Baby Shusher Sleep Miracle Soother. Our newborn photographer makes her living shushing babies to sleep. I was seriously shocked at how well this thing worked at her photo session. She swore by it, told me to buy one asap and I added it to my Amazon cart before we left her studio. It makes a “Shhhh” noise that’s super soothing and our baby zonked out with this thing. Lastly, regarding sleep, make sure to plan ahead with your significant other or family member regarding night shifts and/or day shifts. This way, you have help and don’t wake up at 4 am EXHAUSTED wishing your husband would be the one to get up this time. Talk it out and have a game plan. My mom had told me, “Take care of yourself first and this will allow you to better care for your baby.” She was an RN for over twenty years and this was sound advice. I wish I would have paid MORE attention to what this meant! There were many, many times where I suddenly felt faint or sick and realized I had been so concerned with our newborn baby’s needs that I hadn’t eaten or drank anything most of the day. More times than I can count, I realized while breastfeeding that I was dizzy. Slow down, drink water, eat something – even if it’s just meal bars. Ask for help, take naps, change clothes and shower. Try to make your own care a priority too so that you can better care for your baby. Emotions may run higher than any pregnancy hormones combined. Like me, you may find yourself in tears, overwhelmed with so much after the arrival of your newborn. Try to take things slow, understand that your reaction is totally normal (you are not alone!) and things will be okay. Your baby will be okay too even though it may be super scary not to have nurses there. To help with this: have a pediatrician picked out and a hotline or way to message your doctor or their nurses. This was a HUGE comfort for us. We had a number to call if we ever had questions AND a log-in for our pediatrician where we could submit messages and pictures if we had any concerns. You still have a nurse and doctor care at your fingertips. I wish I had understood how helpful prioritizing would be. Even a warrior woman like you can only do so much. We may feel like superwoman but even she had help. Choose a few things you want to focus on like being healthy yourself, breastfeeding and making your baby feel loved with snuggling and kisses. 10. Take it easy, breath, focus on our precious newborn, heal and be grateful for these once-in-a-lifetime moments. You, your significant other and your baby will all need the same exact things this first week at home: lots of rest, food, bonding and time to learn your new life. Try to take in the moments with those brand new tiny hands, little noises and snuggles. In the blink of an eye, you will no longer have a newborn. Even though this time can be crazy, try to focus on the positive and soak in (as much as possible), the love, smiles and everything beautiful about this amazing new life. Surviving your first newborn week (…or those first three months) may not be rainbow skittles and toy story clouds but when you educate yourself on newborn care, take care of your postpartum self, prioritize, set boundaries, try to have patience with breastfeeding and pretty much everything else, you will set a great foundation for experiencing healing and joy that first week. Most importantly, you will be able to truly take in those once-in-a-lifetime moments that are so incredibly precious. In the end, remember to breath, ask for help, don’t sweat the small stuff and try to rest. Let yourself wear sweatpants or PJs for a couple weeks (or months), take stress-free walks outside, watch some good movies and try to enjoy every minute of that little one! Okay so my husband and I are about to start our family and I have read about 976,678,987,678 articles/posts/blogs….you name it. But this one was so helpful. I loved all the links and everything too. I had a question about the swing glider thing. When I opened the link which one is it because there were a few different ones that popped up? I too have read pros and cons about all the different options. Swings and bouncers and this or that and just didn’t know what the best is. In my opinion tho even if they it grows out of something fast….if it helps them sleep and helps me too then it’s worth it lol. Thanks for all the tips!! Thank you so much! Found it and watched the video…how cool is that! Definitely going to have to get it. Thanks so much, and congrats on another sweet baby! I agree with Heather. This is one of the few articles that has been helpful and has calmed my terrified heart down. ❤️ Thank you.